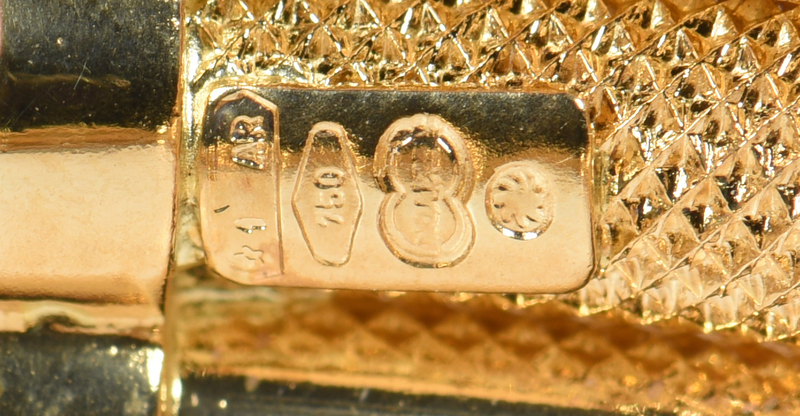 1st item: 18K yellow gold tri-band stacked oval bangle bracelet, 7" interior x 7/16" H, marked 750, 16.7 grams. 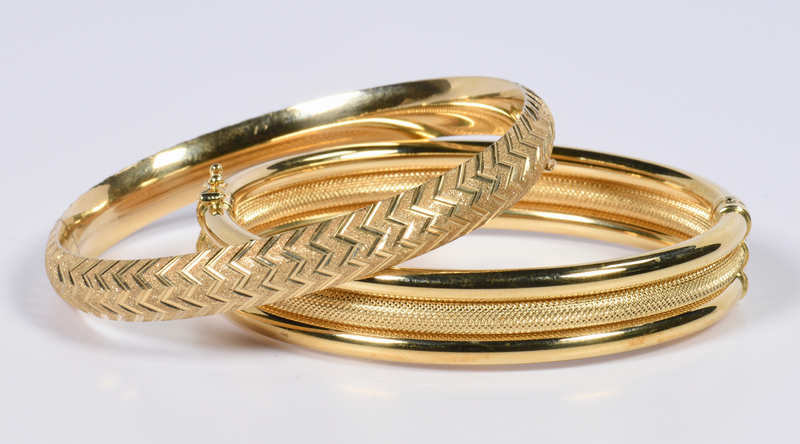 2nd item: 14K yellow gold bangle bracelet, alternating satin and bright zigzag design, 7" interior x 5/16" H, marked 14K, 11.7 grams. 28.4 total grams. CONDITION: Both bracelets in excellent condition.